Space & Drums: Quasi’s Janet Weiss keeps time and kicks out the jams. Being a drummer in a rock & roll band is a hard job; it’s one of the most physically intensive, even in just setting up the gear, and also is often overshadowed by the singer and guitarist, mistaken for a grunt worker in the machinery of creating music rather than being one of its architects. Janet Weiss has had a hand in some of the most innovative bands of the past two decades, as drummer for the essential Northwest band Sleater-Kinney, as well as Quasi. Since Sleater-Kinney broke up in 2006, she has been playing with Stephen Malkmus & The Jicks. She’s also turned up at concerts and on recordings with Bright Eyes and the late Elliott Smith. She may be the hardest-working drummer in indie music. But she’s uncommon for more reasons than that. Weiss is in the unusual position of playing in a band with an exspouse, singer Sam Coomes. Divorced for years, she says “it’s just like being in a band with a really close friend.” The match works very well musically, since as a band their collective personality is very direct and uncomplicated. “Sam’s vocal style is melodic, simple and pure-sounding,” she explains. Weiss compares the vocal stylings of Coomes to Malkmus. “Sam and Steve have quite a different personality,” she says. “Sam is very sincere, but Stephen is a little more sly, mysterious.” Playing in both bands just takes a little organizing, although sometimes she might have a great opportunity with one band that she has to turn down. Ever considered playing a double bill? “One show might be nice, but a whole tour would be too much,” she laughs. 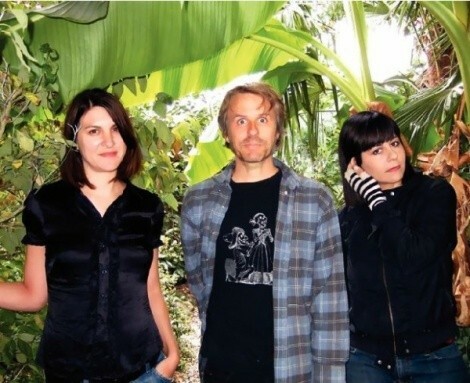 Though when she was in Sleater-Kinney, that band and Quasi once did a West Coast tour. If there is anything at all like a “Northwest sound,” she notes that it might be “kinda folksy, like Sub Pop.” The changes at that label, the bellwether of grunge in the ’90s that set the tone for a sound the region became known for, are indicative of musical changes in the rainy region as a whole since then. Oh, there are still abrasive indie bands like Modest Mouse in the woods up there, but the folkish path is one many new, as well as old, conglomerations have taken—even someone like Mark Lanegan from the psychgrunge band Screaming Trees in the ’80s is sounding like a folkie now. “Bands now are a little more precise,” she adds, citing groups like the Decemberists and Fleet Foxes. But her style hasn’t changed, she says. “The same elements are there; I’m just trying to help make better songs. I still have that rebellious nature, that DIY attitude.” She started out listening to groups like the Minutemen, the Meat Puppets and Camper Van Beethoven: “edgy music by nontraditional singers that were exciting live.” She’s been able to back several of the most fascinating, uncompromising singers of the past generation in Malkmus, Smith and Conor Oberst of Bright Eyes.